This is a big bundle of Spring play-based activities. 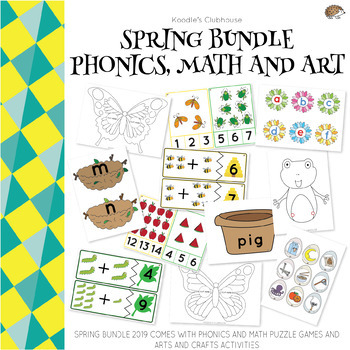 There are a total of 6 different sets in this bundle including the Spring flowerpot CVC game, the Spring bird nest phonics matching game, the Spring frog split pin puppet, the Spring butterfly mask arts and craft, the Spring mini-beast math puzzle and the Spring math counting task cards. This is a great product if you are looking for a Pre-K to Grade 1 Spring theme bundle for Literacy and Numeracy centres. This game is a great way for children to learn counting. With bright pictures and a clean and simple design, it’s visually stimulating and easy to use. Children can use it with clothes pegs or markers after the cards have been laminated. Leapfrog craft is an easy to make split pin moving frog puppet. It’s easy to make in only a few steps and is a great Arts and Crafts for a Spring theme, garden theme or pond life theme projects. 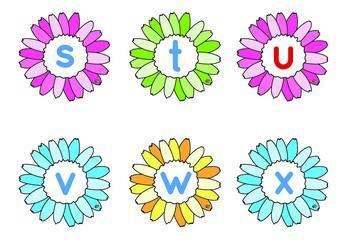 The bird’s nest alphabet game is a fun hands-on way to introduce children to letter associated pictures. This is a great game to also help children learn initial sounds and is great for younger learners. The Spelling CVC flower pot has been developed to help children spell simple CVC words using phonemes and should be used with children who are building reading fluency and beginner blenders. 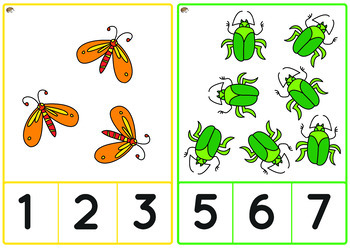 The Minibeasts number addition and subtraction puzzle task cards are a great way for children to learn simple equations with hands-on practice. This is a fun game that can be used with children of multiple abilities. This activity can be done independently or as a partner or team activity. Want something fun to do for a Spring theme or a mini beast and garden theme? Why not make colorful butterfly masks? This is a great arts and craft activity to do with young children. 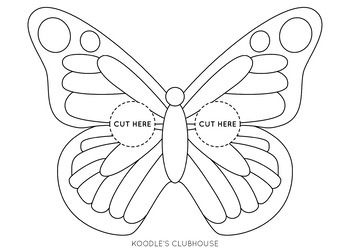 This is also a great activity for children who have finished class work ahead of time.